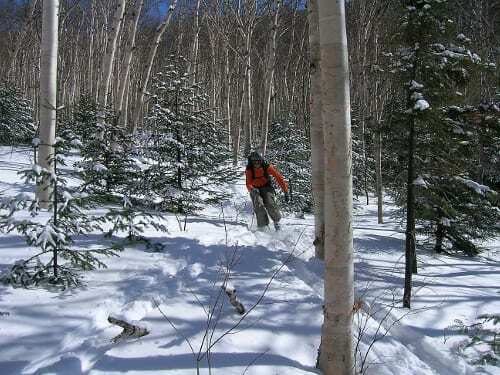 A backcountry skier descends a birch glade in the High Peaks. Photo by Susan Bibeau. 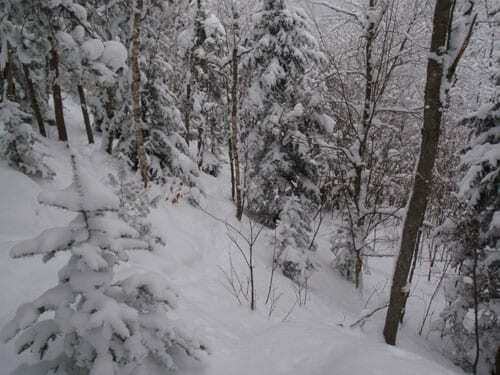 The Adirondack Backcountry Ski Festival is back this weekend, and though most of the guided ski trips are booked, there are a number of cool events open to the public. 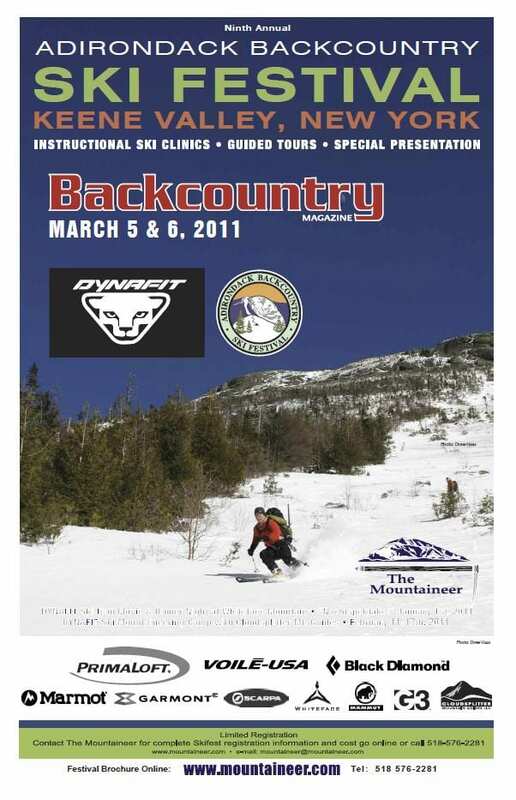 For starters, you can test skis and boots at Otis Mountain, a private hill with a rope tow south of Elizabethtown, and enroll in telemark and skinning lessons, taught by Ron Konowitz, and avalanche clinics, taught by Mike Kazmierczak, a representative of Dynafit and Mammut. It’s all free. The clinics and demonstrations are on Saturday, starting at 10 a.m. A schedule can be found on the website of the Mountaineer, the festival’s host. Otis Mountain is on Lobdell Road off Route 9N (the turn is to the east). At 6 p.m. Saturday, Backcountry magazine will host a dinner at Keene Valley Lodge, located a few doors from the Mountaineer. Price is $20. After dinner, starting at 7:30 p.m., Backcountry will show two ski movies at the Mountaineer: The Freeheel Life and The Fine Line. Admission is $10. As of today (Wednesday), all of the ski trips were booked except the Karhu Traverse, an intermediate tour through Avalanche Pass that starts in Tahawus and ends at Adirondak Loj. Karhu demo skis are available for this trip. The Mountaineer will donate proceeds from the festival to the Adirondack Ski Touring Council and the New York Ski Educational Foundation. Call the Mountaineer (518-576-2281) or check the store’s website for more information.